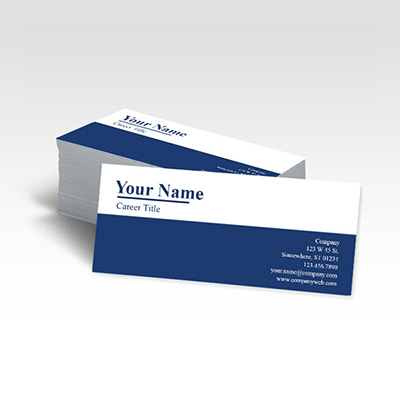 Skinny business cards are the new age trend for promoting a business. They are so popular because of their light weight and super cool designs. Printed on thick card material they are easy to carry in wallets and small purse. Product information: Our one sided skinny business cards are printed, finished and sealed with the greatest perfection. Be assured that your business cards are printed in the highest quality and delivered in perfect condition. Material / paper types: 350gsm Matt card paper stock. Finishing: Matte lamination and choose between square or rounded corners. Pricing: Starting at N4,950 for 100 copies.